The ideal add-on for the Märklin my world Elevated Railroad from the "Airport Express - Elevated Railroad" starter set. Great play fun from playing in Levels 0 and 1. 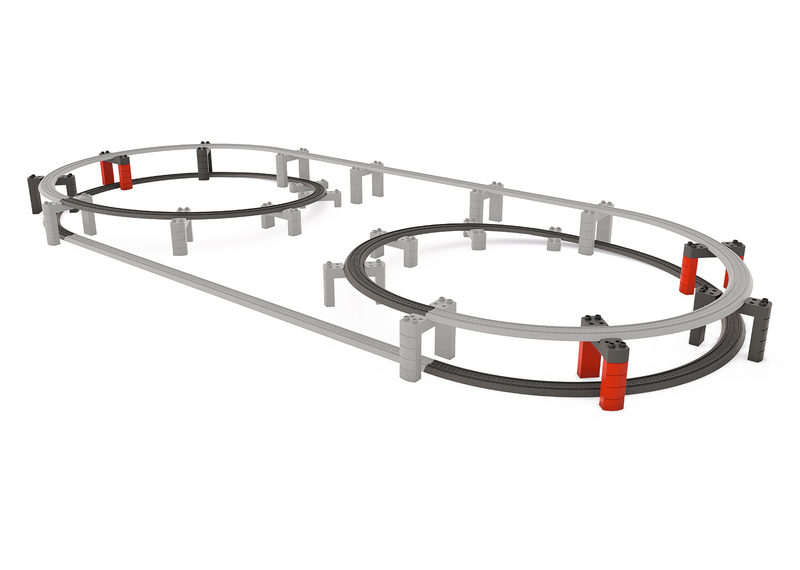 This extension set contains additional track sections and blocks to expand the track layout from the "Airport Express - Elevated Railroad" starter set. This is an expansion for the track layout for the Märklin my world Elevated Railroad in Levels 0 and 1. The track sections have a colored identifier for easy setup of the track layout. Contents: 24 curved track, 48 blocks for elevated railroad pillars, 6 adapter blocks for mounting the track. The track sections and blocks are made of sturdy plastic just right for children. Instructions for setup are included. The ideal expansion of the Märklin my world Elevated Railroad from the 29307 "Airport Express - Elevated Railroad" starter set.